Are your shakes smooth or do they have bits in them? After mixing our Breakfast shake with liquid, it does have some small bits e.g. small pieces of coconut and ground seeds. The great thing is that you know you’re having real food without any chemicals such as emulsifiers or thickeners! For those who prefer it even smoother, you can blend it up. This doers the trick for those customers who like a really smooth texture. Other products such as Hotslim and our Sculpting Shakes are naturally smoother without the need to blend. 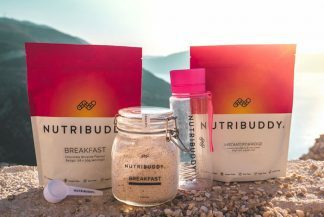 Previous post: How does Nutribuddy help me lose weight? Next post: How do I order / How much do the products cost?